Life Story Work helps people in all settings to regain their sense of self by capturing their story. People often don't have a voice or input on decisions about their health or social care that affect them. Big decisions are being made without consultation or understanding the specific needs and contexts for the individuals involved. This lack of influence can decrease an individual's feeling of control and can have repercussions on other aspects of health and well-being. The majority of people who receive long term social care funded by government are over 65, and this age demographic has grown by over 17% since 2009/10. Forecasts predict growth of over 50% by 2039. Spending on adult social care has fallen by around 5% in real terms since 2009/10. This increasing demand due to an ageing population and reductions in funding compound the problem meaning there is less resource focused on understanding the individual and supporting them in having a say over their future care and support. 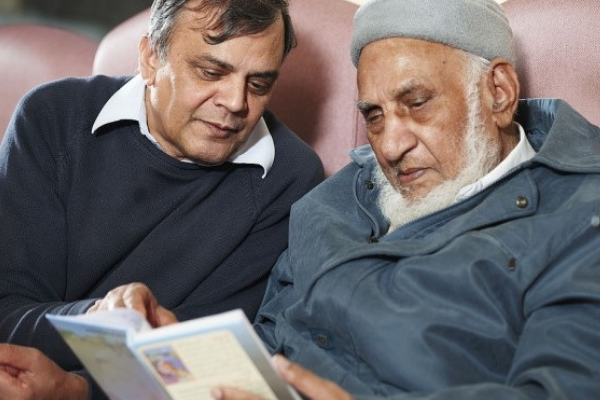 Life story work helps people in all settings, whether at home in their communities, in care homes, supported living, or in hospital, to regain their sense of self by capturing their story. Family carers and paid staff can then appreciate the person’s life; their strengths, interests and hopes more fully and understand how to support them better now and in the future. The Life Story Network Directors have been delivering Life Story Work training for a number of years, following long and successful careers in health and social care; in service delivery, management, commissioning and policy. We have run training programmes with a number of partners and always receive positive feedback.